tropical contrasts, and demographic processes underlying population dynamics, more generally. There are new assessments of irruptive population dynamics, and of the consequences of landscape heterogeneity for herbivore populations. 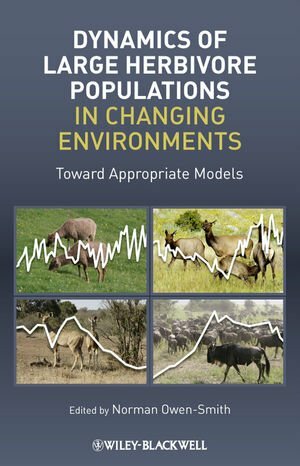 An initial review of candidate population models is followed up by a final chapter outlining how these models might be modified to better accommodate environmental variability. The contents provide a foundation for resolving problems of diminishing large mammal populations in Africa, over-abundant ungulate populations elsewhere, and general consequences of global change for biodiversity conservation. This book will serve as a definitive outline of what is currently known about the population dynamics of large herbivores. Conclusions: how can future analyses of large herbivore demography deal with complex demographic processes? How does landscape heterogeneity shape dynamics of large herbivore populations? How does spatial heterogeneity influence ungulate population dynamics?